After a trade made in his college town, Dansby Swanson will be heading back to his home state. The first overall pick in the 2015 Draft was dealt from the D-backs with right-hander Aaron Blair and Major League outfielder Ender Inciarte to the Braves for Major League right-hander Shelby Miller and southpaw Gabe Speier on Wednesday at the Baseball Winter Meetings in Nashville, Tennessee. Swanson, who was the D-backs' top prospect at the time of the trade, played 22 games this year with Class A Short Season Hillsboro after making two appearances in the College World Series with Vanderbilt. MLB.com's No. 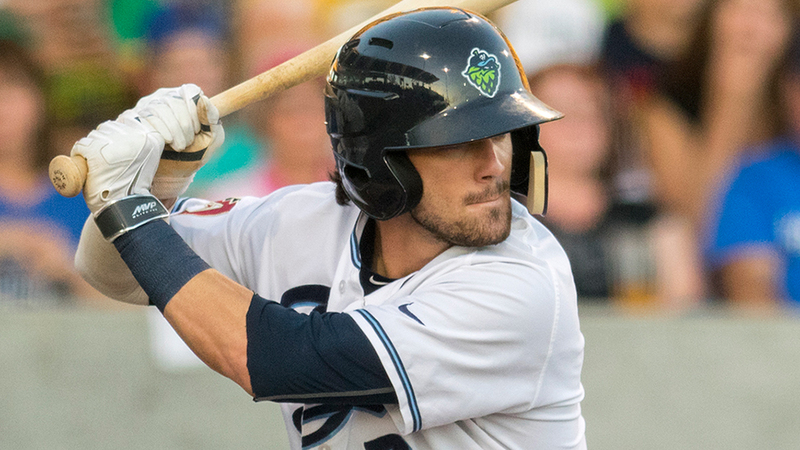 10 overall prospect hit .289 with a homer and 11 RBIs and 14 walks as the Hops' shortstop. This deal was helped along by a rule created following last year's Winter Meetings. After the Nationals had to wait to officially receive Trea Turner in a trade with the Padres, MLB decreed teams did not have to wait a year after the signing date to deal a recent Draft pick, so the Kennesaw, Georgia native was free to go to the Braves immediately. "It didn't hurt that Dansby Swanson was born and raised five minutes from our new ballpark and was an all-world guy at Vanderbilit and was a No. 1 guy in the Draft that our guys loved," Braves president of basebal operations John Hart said. Joining Swanson was Blair, who was a first-round pick in 2013, had been Arizona's No. 3 prospect. The Las Vegas native started the season in Double-A Mobile before being promoted to Triple-A Reno in June. Blair posted a 2.92 ERA with 120 strikeouts and an organization-leading 13 wins across the two levels en route to being named the D-backs' Pitcher of the Year. "Aaron Blair is a starter we very much like," Hart said. "We feel this is a guy who is very close to the Major Leagues-ready pitcher, even above some of our other upside guys like Sean Newcomb or a [Lucas] Sims. Aaron Blair, we feel, is a very special guy." With this trade, the Braves secure the D-backs' past three first-round picks, including Touki Toussaint, who was traded to Atlanta in June. Speier was swapped for the third time in 12 months. The 20-year-old went to the Tigers from the Red Sox in last year's Winter Meetings as part of the Yoenis Cespedes trade and then he was sent to the Braves in the Cameron Maybin deal on Nov. 20. Speier just completed his first full season, notching a 2.86 ERA with 36 strikeouts in 33 relief appearances for Class A West Michigan.